ATA Martial Arts of Maryland will help your child build the skills they need to become confident, capable adolescents. Call To Enroll Your Child! WE UNDERSTAND THAT PARENTS IN THE Harford County COMMUNITY HAVE A BUSY SCHEDULE, We're Here to Help! Our martial arts classes take your child’s natural disposition into account. Instead of working to "fix" them (to change who they are), we work WITH their natural physical and emotional energy, enhancing their strengths and working to shore up their weaknesses. Now, of course kids need rules, boundaries and limitations. We enforce these necessities with kind, assertive leadership exercised in a fun, high-energy environment, so that kids are excited to be there. If we want children to be compassionate, polite, patient and calm, we have to set the example by treating them that way! Our After School Program at ATA Martial Arts of Maryland is the answer! Yes, we have rules (and they’re important). Our classes are far from your average run-around-screaming, coach-pulling-his-hair-out, free-for-all kid’s activity. You’ll immediately see your child enveloped in a culture of excellence, a place where we expect the best out of our students. This actually makes it EASIER for your child to reach the kind of goals we all want. When they step onto the mat they’ll be surrounded by other children who are on the same path of excellence, and that’s more helpful than you can imagine. 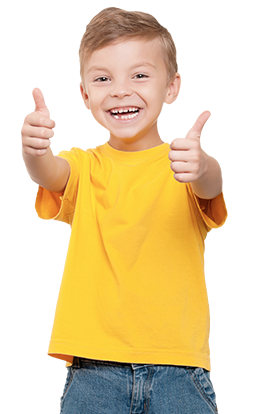 A high-energy, exciting after school program where your child will pay attention, follow the rules and try their best? Sounds too good to be true, I know. Think about it … a kid’s “natural” state is seeking out fun, so if we get them to that state, it becomes EASY to instill life-changing character development skills that they'll take off of the mat and apply to the rest of their lives. They’ll become more focused, confident, and disciplined, and they’ll love every second of it. What Makes ATA Martial Arts of Maryland's After School Program Unique? Our after school program also includes full martial arts classes. 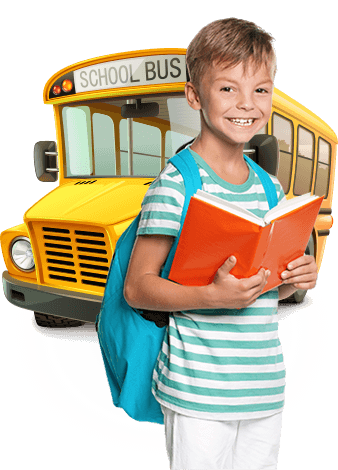 Our professional, background-checked drivers pick your children up in our company vehicles, and bring them safely to our facility. GREAT, SO HOW DOES IT WORK? Martial Arts Classes: Once they arrive at our school, your child will change into their official martial arts uniform and take a REAL karate class. They'll focus on self-defense, balance, flexibility and character development skills they'll use for life. Pick-Up: Parents can pick up as late as 6:30pm at no extra charge. Do you offer part-time or just full-time? We offer a part-time program (1, 2 or 3 days a week on either a flex or fixed schedule) and a full-time program for 4 or 5 days a week. If we like it, how does the signing up work? If you're ready to sign up, a small deposit will save your space in the program. The deposit will be applied to your first tuition payment. Can I come watch their martial arts class? Absolutely! Your child's pickup schedule will determine their class time. If you're able to, you're welcome to come watch them during their class. Pricing starts at $65/week - competitive with other after school programs, but with added benefits such as martial arts classes that develop life skills.